Sophisticated aberration-corrected high-resolution transmission electron microscopy (HRTEM) imaging and spectroscopy methods are nowadays commonly applied for inves-tigations of materials systems at the atomic level. A brief recapitulation on the development of such instruments and the methods that became available with them will be given in the first part of the presentation. Secondly, the application of several HRTEM imaging and spectroscopy techniques for the study of thin films will be demonstrated. Epitaxial metal/semiconductor nitride superlattices and multilayers are known to be promising candidates for applications as ultra-hard- and thermal- coatings, as well as for thermoelectric and plasmonic devices . It was recently demonstrated that such superlattices can be grown epitaxially with low-defect densities by magnetron sputtering on  MgO substrates [2-4]. I will give an overview on the growth and microstructure of such systems, and present TEM-based results on the thermal stability [5-7] and plasmonic properties  of various metal/semiconductor nitride combinations. Fundamental insights into diffusion processes were gained directly from atomic level STEM and EDS (energy-dispersive X-ray spectros-copy) images. Moreover, the onset and progression of dislocation-pipe diffusion under se-quential annealing could be studied at direct atomic resolution for the first time . T. D. Sands, C.J. Palmstrøm, J.P. Harbison, V.G. Keramidas, N. Tabatabaie, T.L. Cheeks, Y. Silberberg, Mater. Sci. Rep. 5: 98–170, 1990. B. Saha, S. Saber, G.V. Naik, A. Boltasseva, E.A. Stach, E.P. Kvam, T.D. Sands, Phys. Status Solidi B, 252, 2, 251-259, 2015. B. Saha, M. Garbrecht, J. A. Perez Taborda, M. H. Farwey, Y. Rui Koh, A. Shakouri, M. Martin-Gonzalez, L. Hultman, T. D. Sands, Appl. Phys. Lett. 110, 252104 (2017). M. Garbrecht, L. Hultman, M. H. Farwey, T. D. Sands, and B. Saha, Phys. Rev. Materials 01, 033402 (2017). J. L. Schroeder, B. Saha, M. Garbrecht, N. Schell, T. D. Sands, and J. Birch, J. of Mater. Sci., 50: 3200-3206, (2015). M. Garbrecht, J. L. Schroeder, L. Hultman, J. Birch, B. Saha, and T. D. Sands, J. Mater Sci., 51(17), 8250-8258, (2016). B. Saha, Y. Rui Koh, J. Comparan, S. Sadasivam, J. L. Schroeder, M. Garbrecht, A. Mohammed, J. Birch, T. Fisher, A. Shakouri, and T. D. Sands, Phys. Rev. B., 93, 045311 (2016). M. Garbrecht, L. Hultman, M. H. Fawey, T. D. Sands, and B. Saha, J. Mater Sci. 53(6) 4001-4009, (2018). M. Garbrecht, B. Saha, J. L. Schroeder, L. Hultman, and T. D. Sands, Sci. Rep. 7, 46092 (2017). High-throughput screening is a well-established method for scientific experimentation in chemistry and biology. Examples are heterogeneous catalysts, drug developments and nanoparticle toxicology. These methods involve the synthesis of small sample volumes often in form of particles that are quickly tested. The tests are designed to quickly obtain easily accessible data (called descriptors) that are related with a predictor function to the desired properties. One particle based high-throughput concept for the evaluation of potential toxicological hazards will be introduced. Furthermore, a new concept called “Farbige Zustände” is presented which transfers high-throughput screening to the exploration of structural metals. The method comprises the synthesis of alloy samples in form of particles. The samples obtain a defined microstructure by fast or parallel thermal and mechanical treatments and are subsequently subjected to fast descriptor tests while a mathematical algorithm develops the predictor function. Unter dem Thema "Plasmadiagnostik und maritime Plasmaanwendungen. Atmosphärische Plasmen in Forschung und Wirtschaft" bietet der 33. Workshop des Anwenderkreises "Atmosphärendruckplasma" in Zusammenarbeit mit dem Bereich Plasmaphysik des Institutes für Experimentelle und Angewandte Physik der CAU 13 Vorträge. Zu den Themen gehören die Anwendungsgebiete Plasmadiagnostik für Prozesskontrolle und Industrie 4.0 sowie Plasmaanwendungen wie anti-fouling-Schichten, Korrosionsschutz, Wachstums-Reduktion von Biofilmen, Schichtstrukturierung und Haftung. Diese Oberflächenmodifizierungen sind u.a. für maritime Anwendungen von speziellem Interesse. Im Vorfeld des Workshops besteht die Möglichkeit zur Besichtigung der Labore der AG Plasmatechnologie und der AG Experimentelle Plasmaphysik. Weitere Informationen und Anmeldung: www.ak-adp.de. 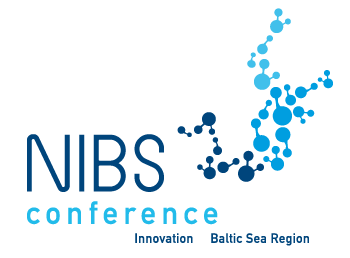 Die dritte von der Norddeutschen Initiative Nanotechnologie (NINa) mit Partnern organisierte Konferenz "Nanotechnology and Innovation in the Baltic Sea Region" (NIBS 2019) findet diesmal in Posen, einer langjährigen Partneruniversität der CAU, statt. Sie wird zusammen mit der überregionalen Nanokonferenz "NanoTech Poland" durchgeführt. Für DoktorandInnen und Studierende ist besonders das "Joint Young Researchers Forum" von Interesse.